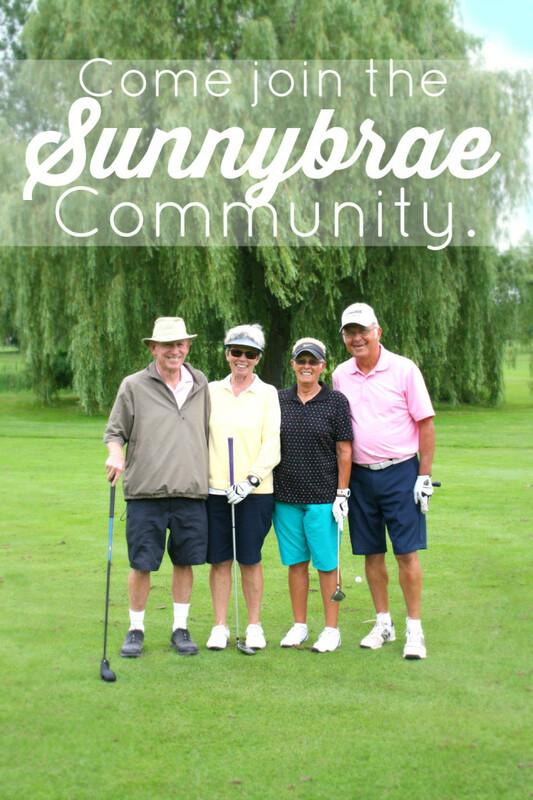 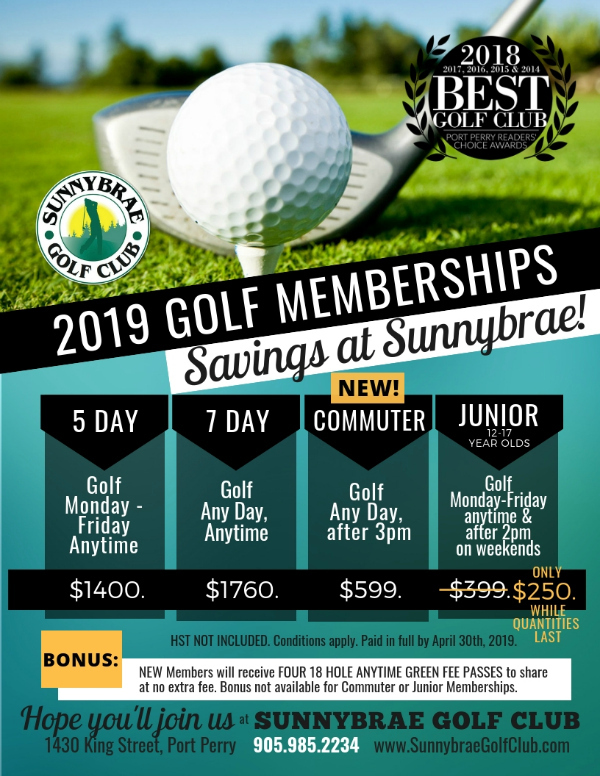 Come join the Sunnybrae Golf Club community and purchase your 2019 Membership TODAY with our Special incentives for both NEW MEMBERS and RETURNING SUNNYBRAE MEMBERS, including our NEW Commuter Golf Membership. 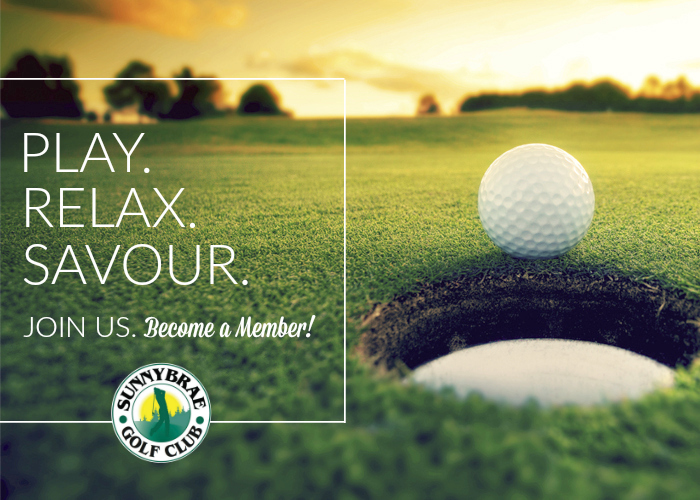 We offer great golf, excellent value, a beautiful 27-hole Golf Course, delicious dining, superb customer service, friendly Member Tournaments & Events throughout the Season, and an award-winning Membership experience each visit! 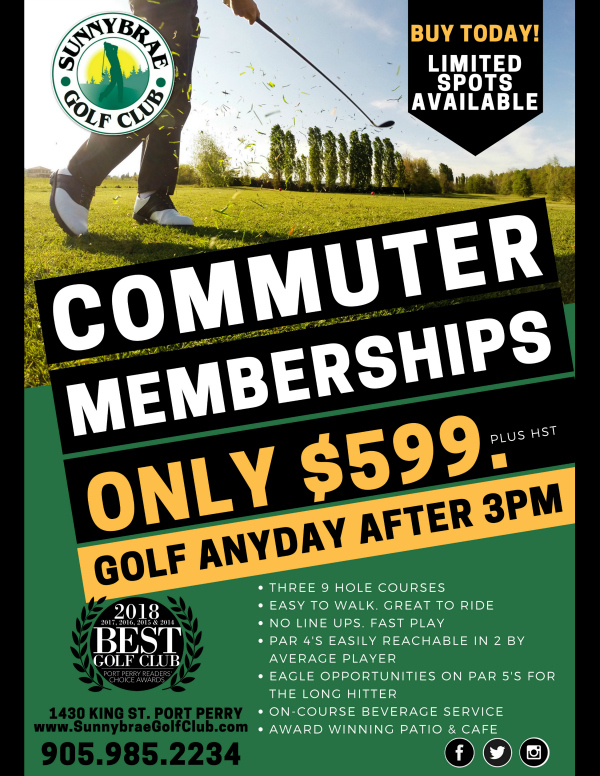 Call us at 905.985.2234 for more info!